GA Power Equipment Spares produces a high quality, comprehensive catalogue of parts and references for our customers. 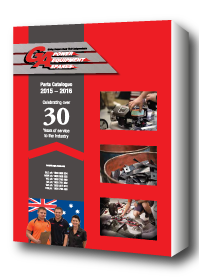 Over 1300 pages packed with information on parts, references and cross listings the GA Power Equipment Spares catalogue is the essential tool for the busy workshop. All parts, references and cross listing are indexed to help you find your parts easier than ever. Please Note: The catalogue file is a large file (167mb) depending upon your internet connection it may take a few minutes to download to your computer. GA Forestry proudly welcomes Prokut™ to our range of brands. 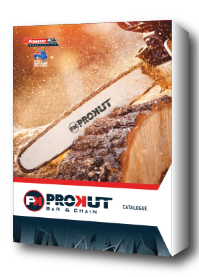 Whether you are a professional or homeowner, Prokut™ bar and chain products will allow you to get through your jobs as eficiently as possible. Please Note: The catalogue file is a large file (10mb) depending upon your internet connection it may take a few minutes to download to your computer. You will require Adobe Acrobat Reader to view our catalogue, this is available as a free download by clicking the button below.